Abandoned electronic scooters have been spotted on hillside roads in Bel-Air. The companies who provide these e-scooters are Bird and Lime. Both companies have websites that are listed below. To be informed residents, listed below are requirements to be a lawful rider on these new modes of transportation. 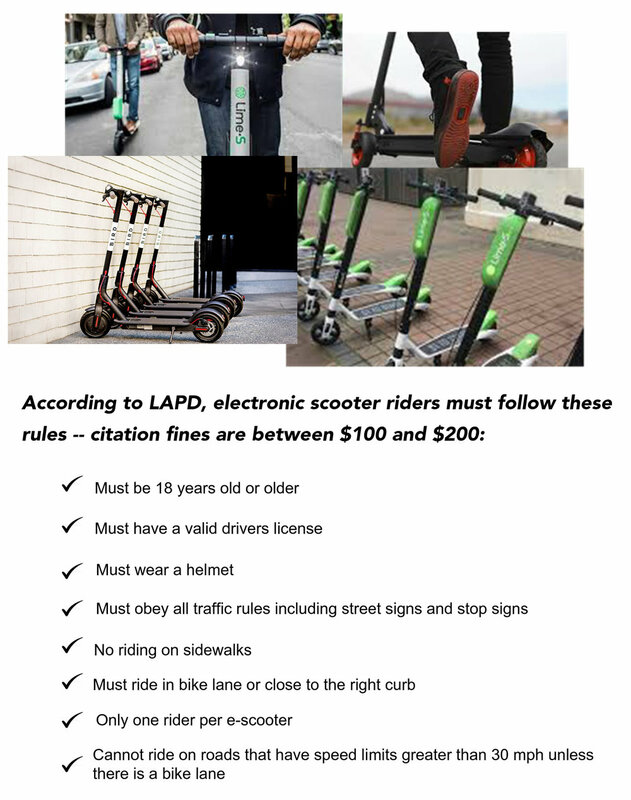 Should a resident find these scooters abandoned on our hillside roads, please contact the BAA office at (310) 474-3527, or contact the respective company through their website. The City of Beverly Hills has banned e-scooters for six months with a zero-tolerance policy and West Hollywood has banned them as well. Click here to link to THE BEVERLY HILLS COURIER's article "Beverly Hills News - City Council Bans Electronic Scooters"